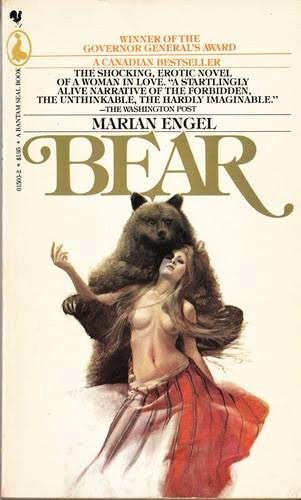 Am I the only one who thought it was a Harlequin based on the cover art and title? That was my first thought!! Scholastic?? Who knew! Sometimes I find it incredible that men and women ever get together…. I wonder what kind of pin was involved? It was his fraternity pin. Oops, just double-checked. It was his Literary Society pin. Same idea as fraternity pin, but for the (apparently literary) high-school set. 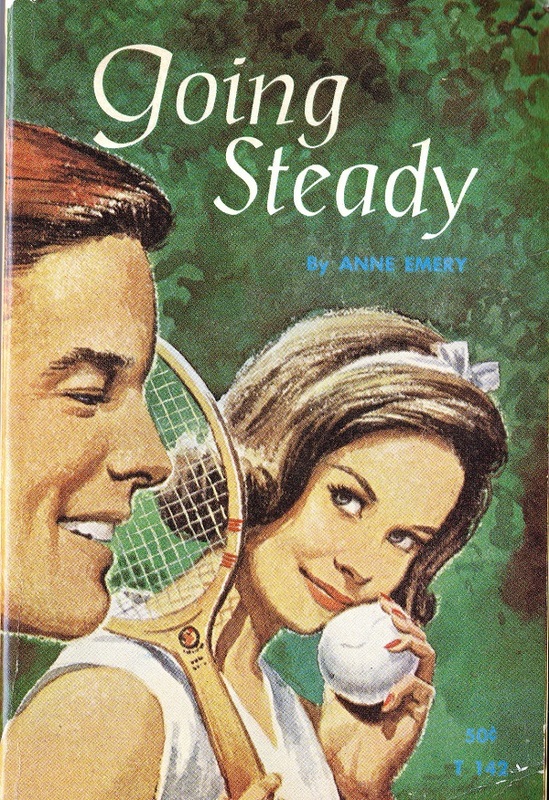 I believe that in the fifties the theory was that teenagers who “go steady” will tend to become “too intimate,” therefore they should be discouraged from doing so. This doesn’t seem to be a preachy example of this kind of thinking, but probably does fit the model. 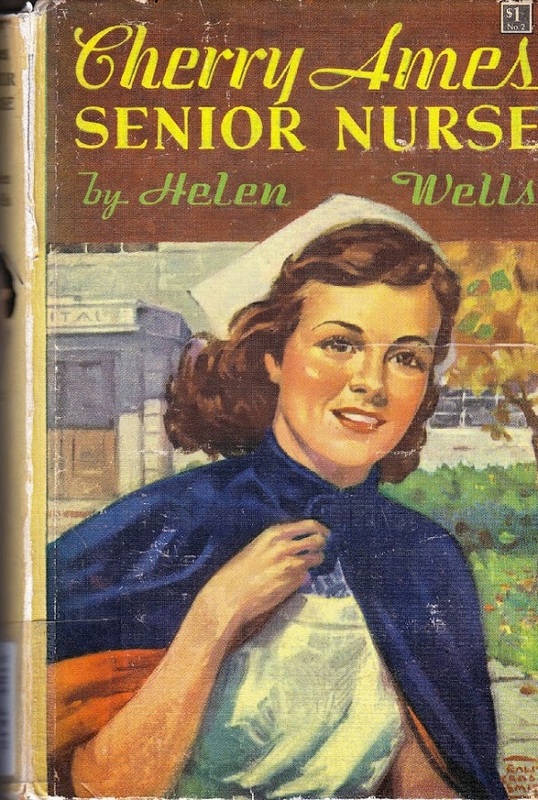 This is one of the Burnaby Sisters books, a series from the mid-20th Century. 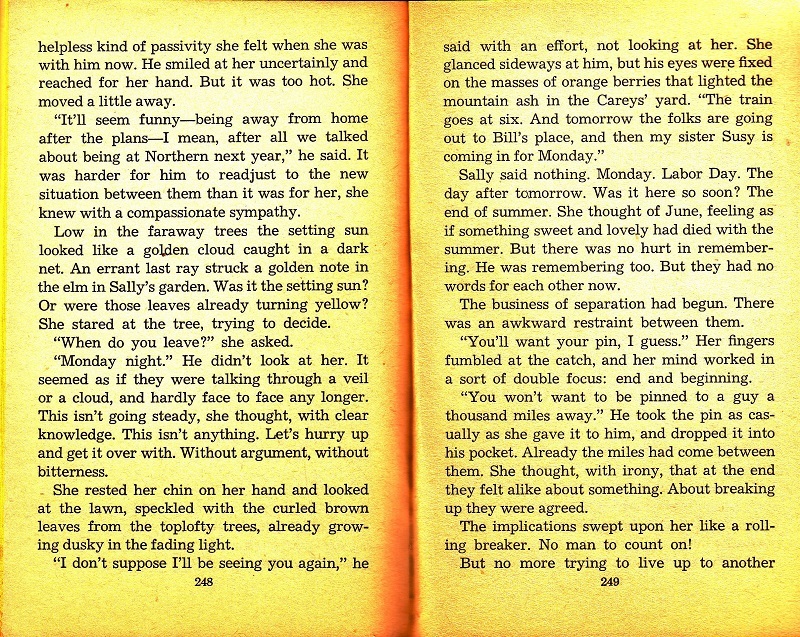 It’s probably a nostalgia read for Gen X and Baby Boomers, but not sure if younger people would still read it. 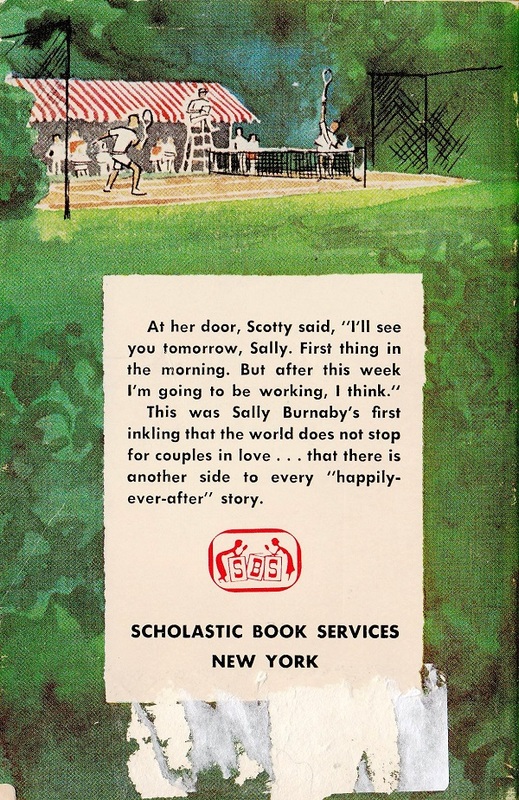 Scotty was also a jerk in the book that came before this one, SENIOR YEAR, only showing interest in Sally when she dated other guys. 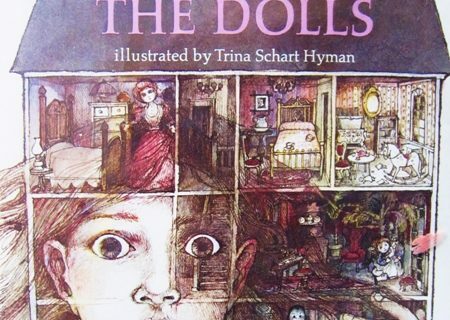 I knew at a glance at the thumbnail of the cover that this is the Scholastic edition. 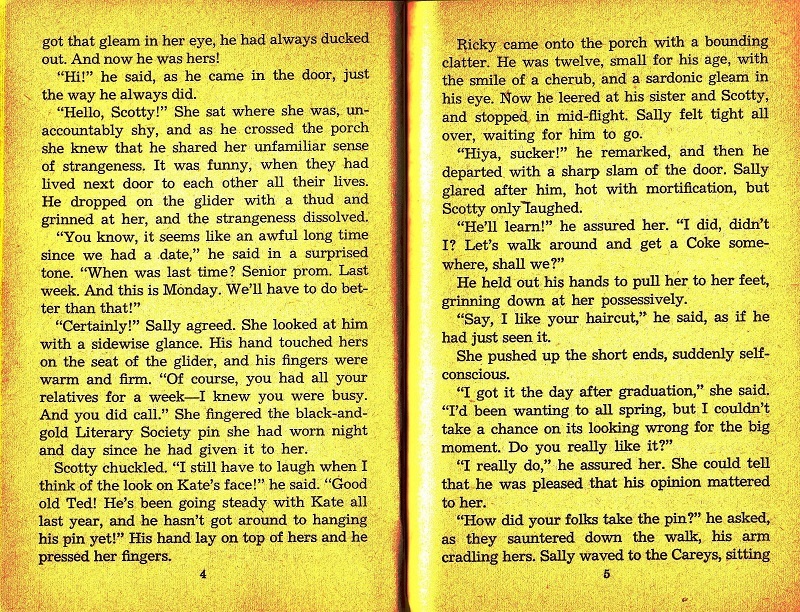 The 50’s60s teen novels (which even then would have appealed more to tweens than actual teens) have a huge retro following. 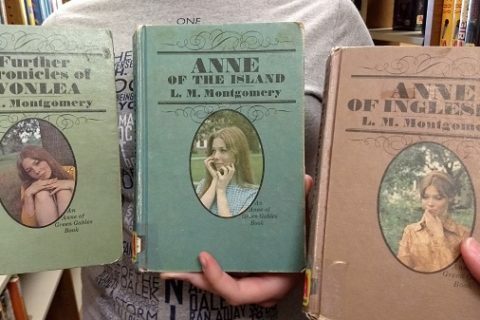 (I skipped over them when I was a tween and went right to Daphne DuMaurier, Mary Stewart, and Phyllis Whitney. )….At every ALA conference I suggest to the Scholastic reps that they should do a Baby Boomer “I Remember Scholastic / TAB / Arrow Book Clubs.” Alas, the sales reps are too young to remember. Who remembers “Jean and Johnny”? Jean was quiet and studious and Johnny was the BMOC who paid attention to her for a while, and she was thrilled. But eventually she came to realize he was shallow and selfish. Same basic plot, yes? I read it in the 7th or 8th grade. Guess the lesson really sank in! I’d read it again if I came across it…would take me an hour or so, probably :-). Ah, yes, Jean and Johnny! 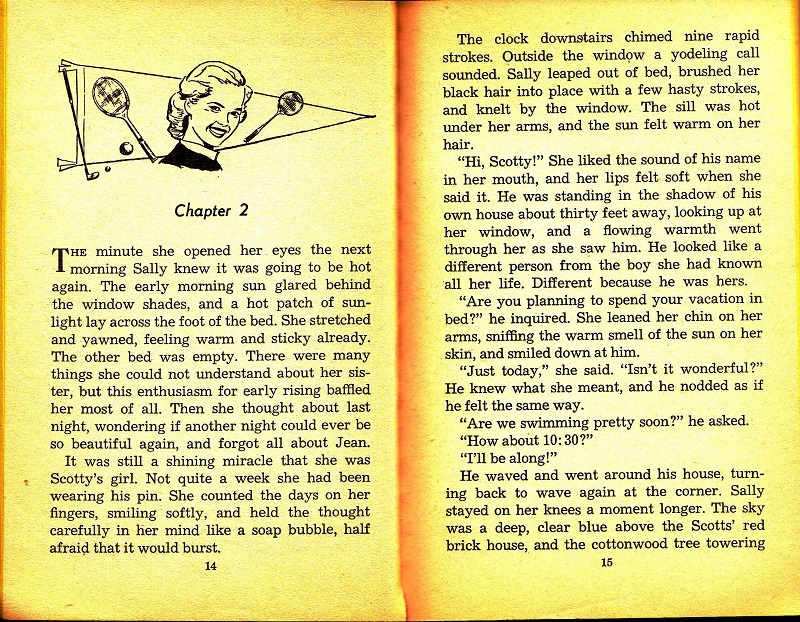 A Beverly Cleary classic.